Today's Free Music Friday was directly caused by a previous review I made. 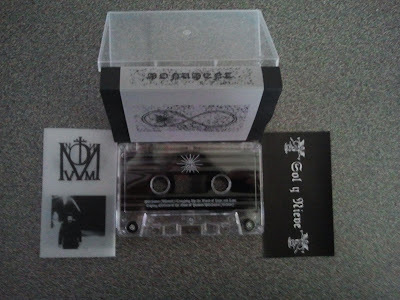 While finding the proper links for folks looking to hear Yellow Eyes' debut cassette, I happened across information about this little wonder. Monument were a band I had heard of before, but had not yet heard. Given how strong my love for Yellow Eyes' debut was, I refused to even peruse the tracks on bandcamp and simply placed my order. While some may view this as a risky move, I knew it would be impossible to grasp the intensity of this music without holding it in my hand and listening to it through my stereo system. When it arrived in the mail (a week ago today) I was thrilled. I was spending the afternoon with a friend and didn't have the opportunity to listen to it, but I kept sneaking peeks at the tape and daydreaming about the music contained within. I told myself I'd hold off for a few weeks before featuring this band again in my blog. This morning I decided against that. This cassette needs to be featured now, while actual purchase is still an option for those who aren't merely content with a free download. 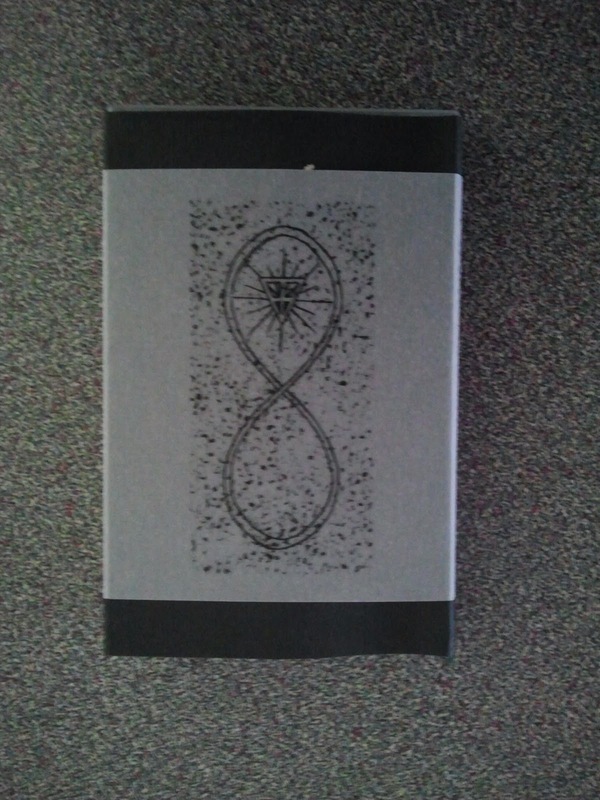 Starting things off with Yellow Eyes' contribution to the tape, I'm immediately aware of two things: they've added a new member to the band since their last recording, and these songs are noticeably longer than any track on their first cassette. Opening track "The Solid Chime of Matching Bone With Harder Strength" slowly creeps in with distant ambiance, which builds towards a full force aural assault that the band carries through both of their tracks here. 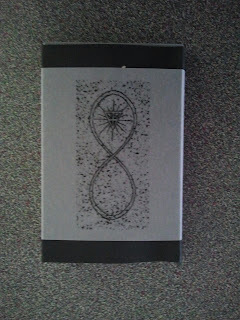 Anything nice I said about the first cassette is equally true, if not enhanced upon, in this release. The drums are perfectly produced, and the guitars are fuzzy enough to create a great atmosphere but nothing of the musicality is lost. The first song is nearly ten minutes long, which gives me hope that soon Yellow Eyes will be crafting epics upwards of ten minutes in length on their next effort. Few bands can hold my attention for such a span, but Yellow Eyes certainly know how to keep me focused. Rather than dully plodding along, these two tracks sound equally chaotic and beautiful. The peculiar high-pitched dissonant leads that caught my attention on their debut are still here, but are fused with rhythmic passages that complement them perfectly. This music makes me feel like I'm marching towards my death through heavy rain. It's truly brilliant. Flipping the tape over, it's time for an introduction to Monument. Like Yellow Eyes, Monument provides two lengthy tracks here. Judging by the image on the insert, it's safe to say this is a solo affair, which makes the fullness of this music even more impressive. Monument's opening track "Milchama (Wound)/Coughing Up the Blood of Hope and Love" starts with a very warm feeling drone, almost like the one ray of sunlight making its way through complete darkness (I'm assuming this is the Milchama part). When the drone fades out, Monument conjures up a swirling mess of lo-fi black metal perfection. This side of the cassette has that fuzzed out feeling I love so much, where I get the feeling that the band is performing in the middle of a foggy forest and I'm hearing the music from about a mile away. This music feels much more ritualistic and purposeful than a lot of newer bands, which gets a huge thumbs up from me. There are many slower passages here, that lack not in intensity, but merely serve to create a stronger atmosphere. It's clear that while the music is slightly more stripped down than the A side of the cassette, it's intentionally so, and the mood is denser and darker here. With the bleak beauty of Monument and the spiraling fury of Yellow Eyes, this tape is perfectly paired without simply containing two identical artists. For those who haven't already made their way to the bandcamp page for this release, I advise you do so now. It's listed at "name your price" and it's required listening whether or not you have a cassette player. If you're into the experience of owning a physical copy, this tape is one of the most well packaged cassettes I've ever received. It's clear that Sol Y Nieve is committed to creating some of the most attractive album experiences, inside and out. Click the label's name to obtain your own copy of this masterpiece for only $5 if the free download just won't cut it for you. I know it wouldn't be enough for me.